Written for non-specialists; appealing to all those, from primary school children to university students, who want to learn more about the fascinating sea creatures living around the UK. Colourful spreads and large photographs of the creatures in their natural habitat, with many illustrating different aspects of behaviour. 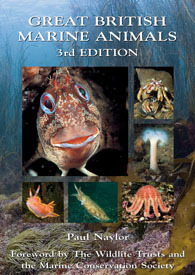 Commentary on every major type of marine animal found in UK waters, from crabs to dogfish, and sea anemones to octopus. Numerous unusual photographs, such as those showing a starfish chasing brittle stars across the seabed, a mating chain of sea hares and squat lobsters feasting on a jellyfish.